When it comes to Boise air conditioning service, repair, installation or replacement, A Unique Heating and Air Co. is the reliable choice. We are prompt professionals and we’ll respect your home by wearing shoe covers and utilizing drop cloths to protect your floors, We’ll respect your time by notifying you when we are on our way to your home so you don’t waste time waiting around. Our air conditioning technicians are highly skilled and EPA certified and will take the time to answer all your comfort system questions. All our repairs are backed by a 100% Satisfaction Guarantee! This means that should you be dissatisfied with any repair or installation for any reason, we will return and make it right at no extra charge to you. 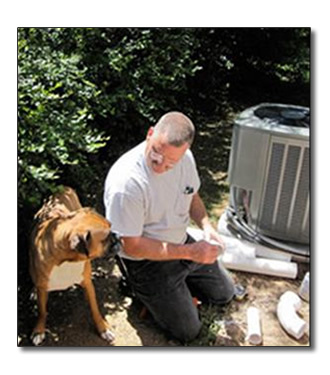 The typical life expectancy of an air conditioning system is about 12-15 years. If you are considering replacing yours take note: The contractor you choose is even more important then brand of air conditioner. Quality air conditioner installation is the key to an efficient and long lasting air conditioner. Check the Room Thermostat Temperature Setting: Set the thermostat to at least 2 degrees below the current room temperature to see if the system turns on. Check that the Electricity is on for all of the Equipment: Check all switches and breakers in the electrical panel. Check the Air Conditioner Filters: very dirty or clogged filters reduce the air flow through the system and can cause the system to ice up. If the air conditioning system is still not working, or if the A/C is running but no cool air is coming out of the supply registers yous should turn off your thermostat to prevent additional system damages and call A Unique Heating and Air Co. at 208-869-8096 to have a skilled technician come out to your home. We service all major brands and carry an assortment of repair components on our service trucks. We strive to provide up-front prices so there are never any surprises and you can make informed decisions on weather to repair or replace before we begin any work on your system. A Unique Heating and Air Co. offers some of the quietest and most energy efficient air conditioning equipment in the world and installs some of the most well engineered cooling systems in the Boise, Meridian, Eagle and Nampa areas. Air conditioning systems that will bring you and your family years of comfort and save you money. Not sure what you want or need? Want to better understand all the options available to you? Our comfort specialist can help you decide which air conditioning system best suits your home, family and budget. We’ll ask a few simple questions to help uncover your real needs, and then show you viable solutions for meeting them.